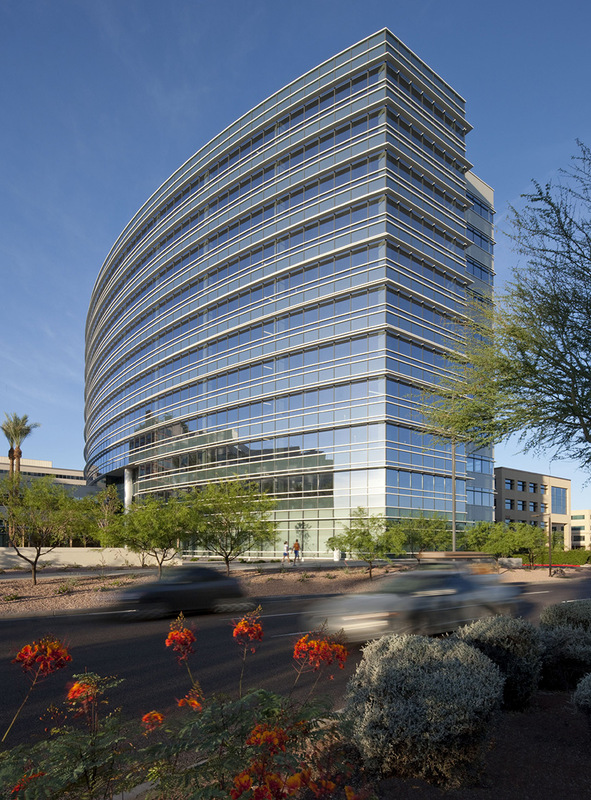 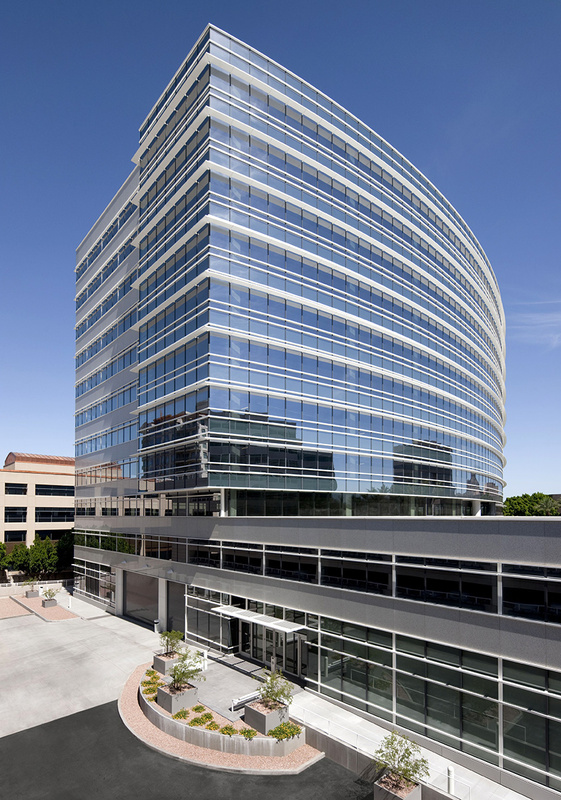 This is the second office tower in a planned 8.5 acre mixed-use development located at 24th Street and Camelback Road – Phoenix’s premier office and retail address. 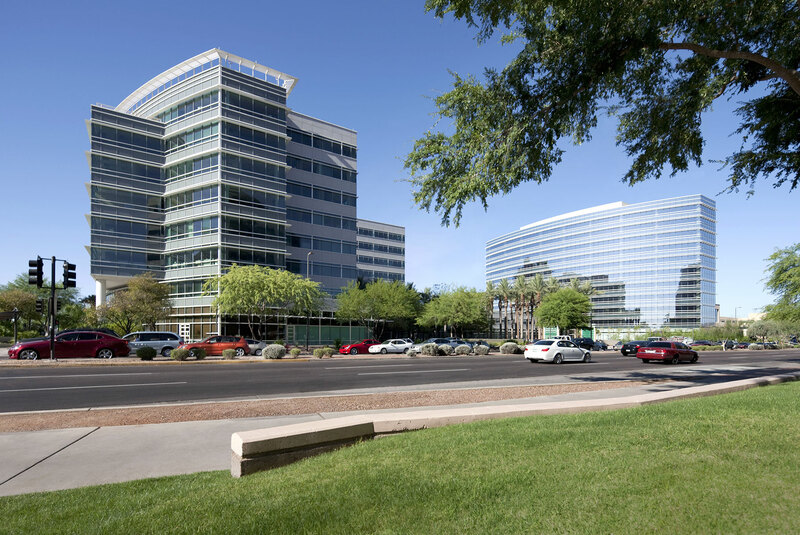 This taller tower offers the same spectacular views of the nearby mountains, but also offers tenants larger floor plate office space at the lower floors. 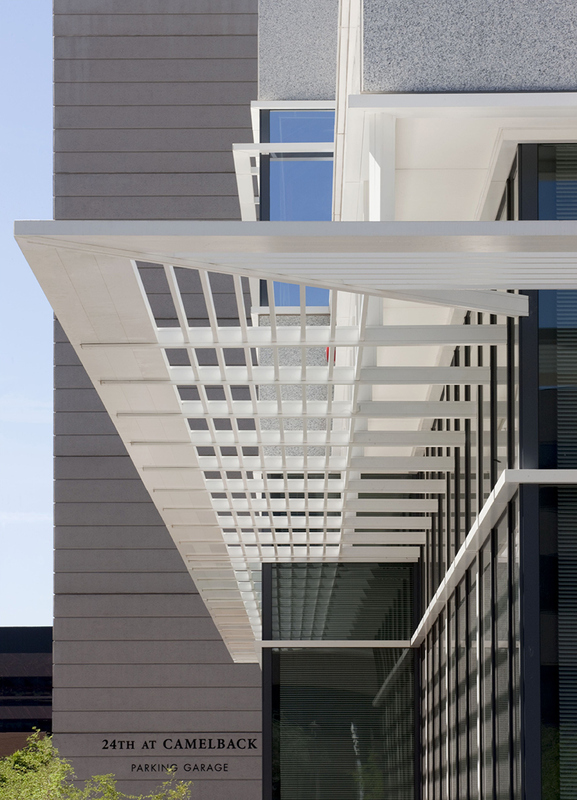 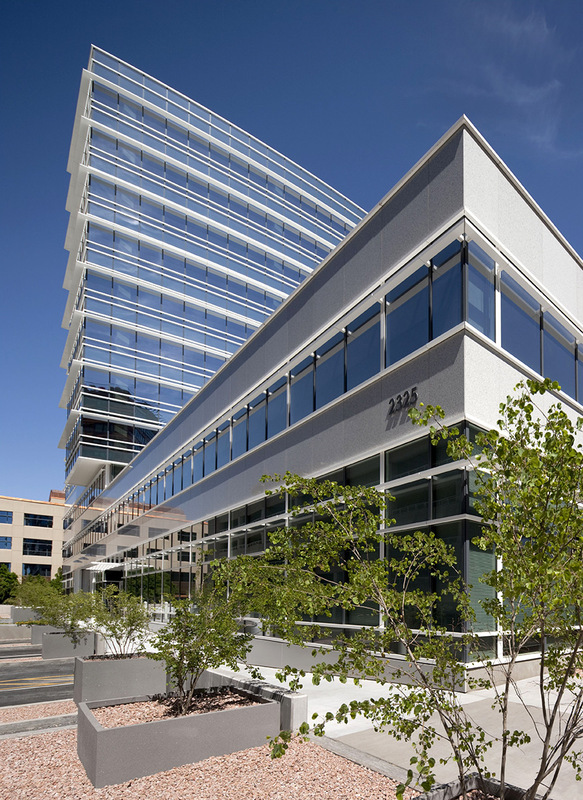 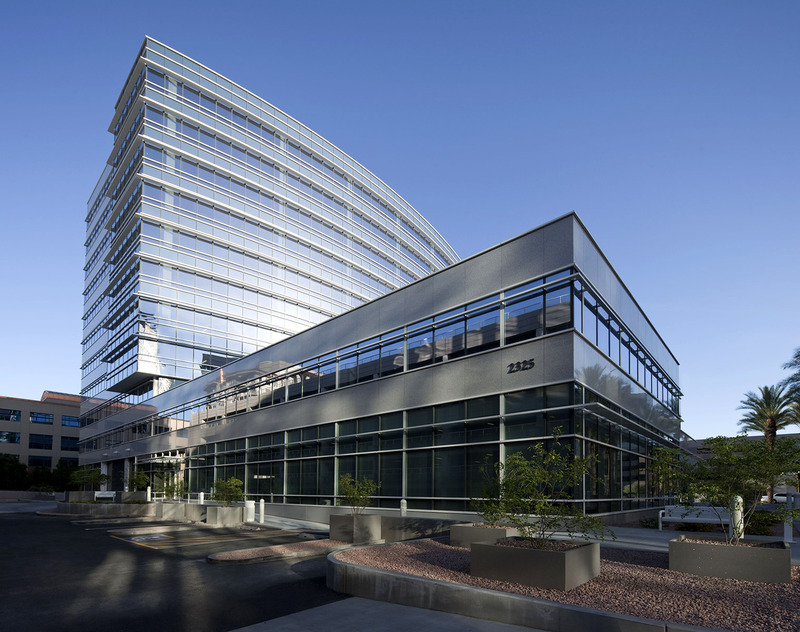 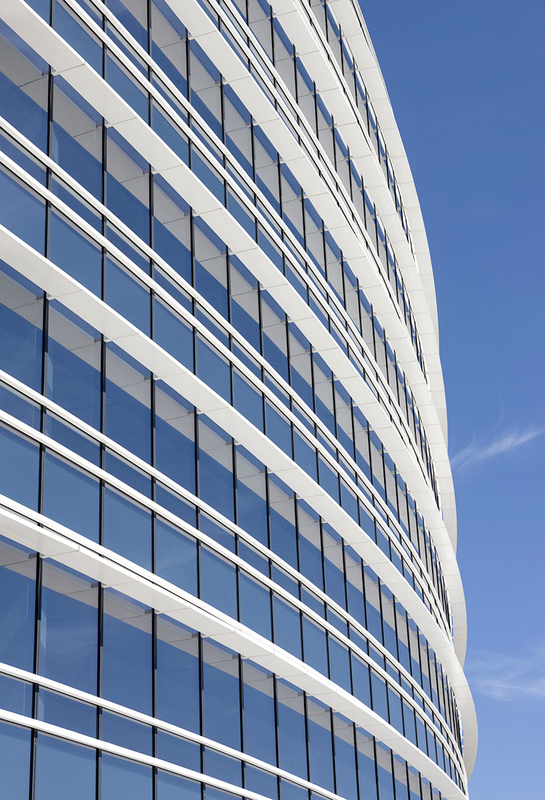 The building utilizes the same palette of materials as the first building: facades with alternating horizontal bands of Rosa Beta granite and glass, facades with curved glass, and aluminum sunshades at each window head to mitigate the strong Arizona sun. 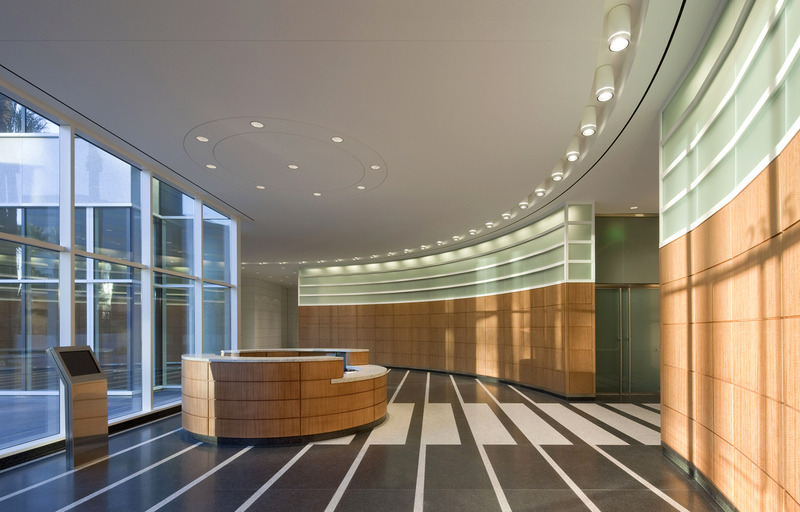 This helps to reinforce the sense of identity and quality in the development. 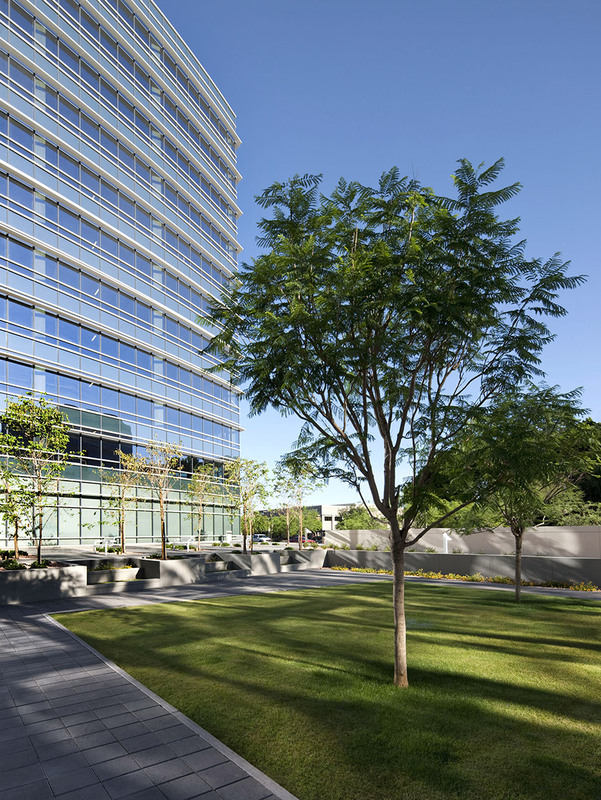 However, the new building is shaped and articulated to respond to its own particular site conditions and its greater building height. 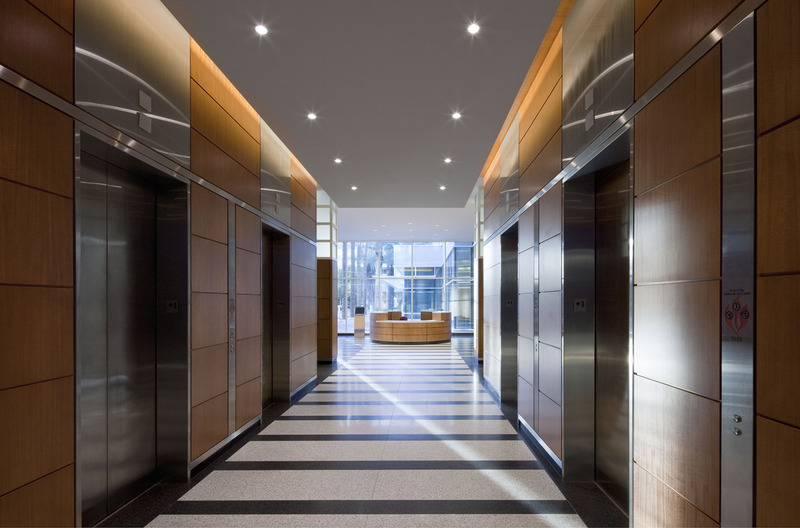 Ground floor retail and a handsome building lobby finished in stone and wood open to a landscaped urban plaza. 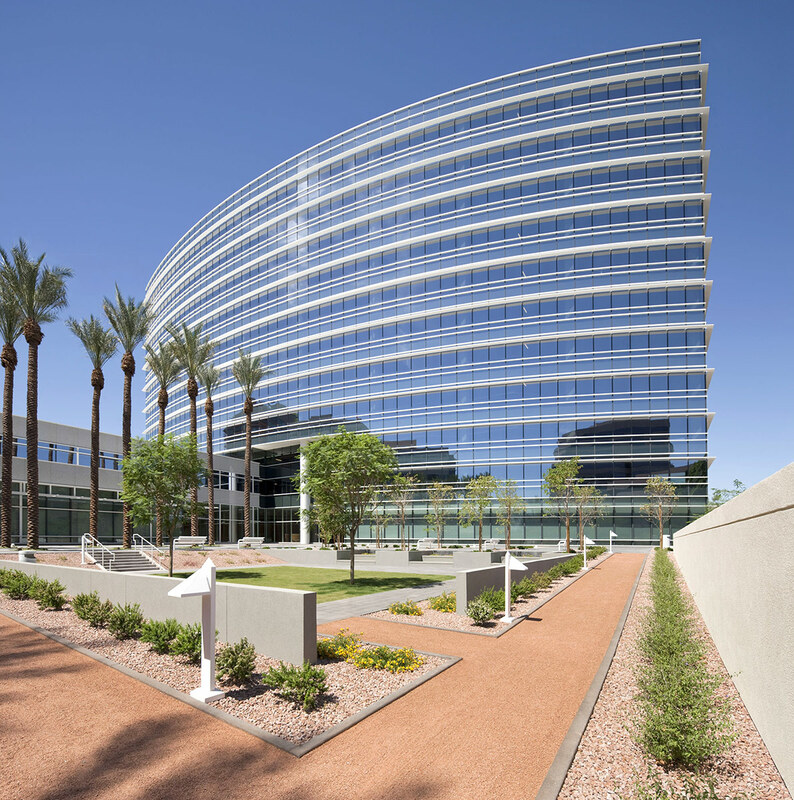 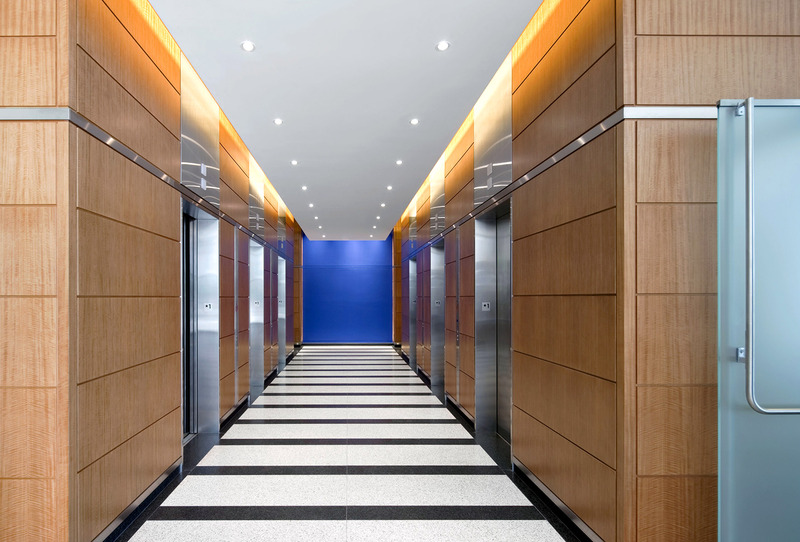 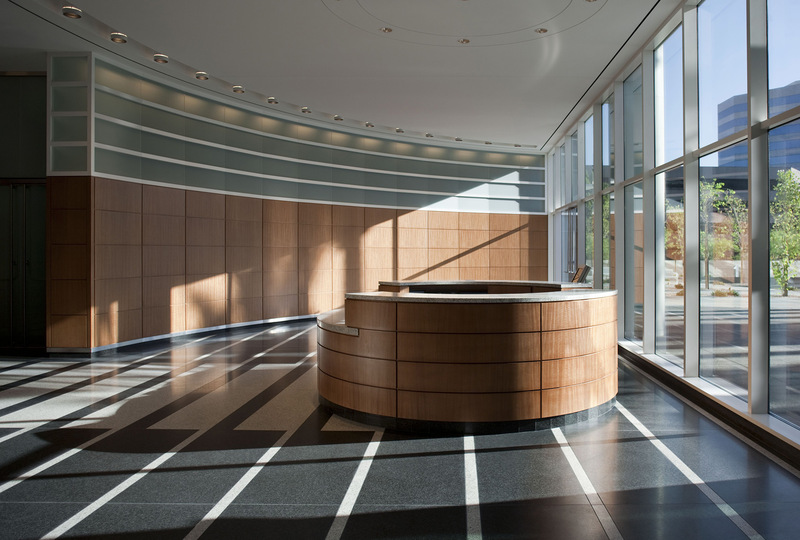 The project received a LEED EB Platinum certification.